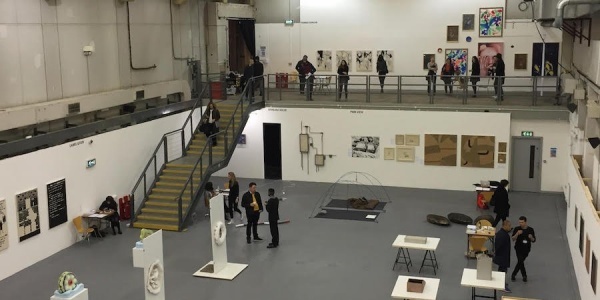 Romanian contemporary art is featured at this year’s Sunday Art Fair, one of London’s most exciting venues for new and emerging talent, through the participation of Ivan Gallery in Bucharest. Just a few minutes away from Frieze, the fair – now in its ninth year – opens its doors annually to artists from all over the globe. For this edition, Romanian artist Cristina David has designed a new interactive work entitled “Art Games”, which involves a series of performative gestures, objects and texts, as well as direct contact with the public, with a view to analysing the relationship between science and visual arts, between the context in which an artist works, the proposed art topics and his/her experimental strategies. The other two artists whose work can be seen at the gallery’s booth are Sándor Bartha and Elijah Burgher. Cristina David lives and works in Bucharest. She studied at the Faculty of Mathematics and at the National University of Arts in Bucharest, Romania. In 2007, she received an MA in Fine Arts at the Art Academy in Bergen, Norway. Her art works were exhibited in galleries and museums around the world; some of the most relevant exhibition venues and contemporary art events are: the Contemporary Art Museum of Bucharest, Video Art Biennial (Tel-Aviv), Shedhalle (Zurich), Montehermoso Art Space (Vitoria-Spain), Ivan Gallery (Bucharest), Futura Gallery (Prague), Manifesta8-Contemporary Art Biennial (Spain), The Performance Art Institute (PAI) (San Francisco), Rotor Gallery (Graz), Freiraum Q21-MuseumsQuartier (Wien), tranzit.org/ Iasi. In 2014, her first artist publication was released by tranzit.ro/ Iasi, called ꞌFakesꞌ. In 2015, together with art theoretician Alina Serban, Cristina initiated a one semester university course for the National University of Arts in Bucharest, called “Clowns of Catastrophe: A Decade of Radicalism, Humor and Identity Politics in Romania, former Yugoslavia and ex-Soviet Space”. In 2007, Marian Ivan opened Ivan Gallery in Bucharest, which underscored the Romanian contemporary art market scene’s invigoration. Known for its conceptual yet Cluj School-like aesthetical experience, the gallery focuses on promoting Romanian contemporary artists such as Geta Brătescu, Lia Perjovschi, Paul Neagu, Ștefan Sava or Andreea Ciobîcă, among others. Of all the London art fairs, Sunday Art Fair has become known as the place to go to if you want to see some of the edgiest new art from galleries across the world. This year’s edition of the fair brings together 30 international galleries, all of which have an emphasis on the young-and-achingly-cool of the art world. 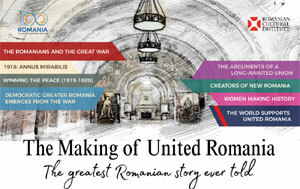 The Romanian project is supported by the Romanian Cultural Institute.